At Port Elizabeth airport parking is easy and secure. You drive to the car park where a driver will transfer you to the airport in your on car, so you don't have to unload your car. This makes Port Elizabeth airport parking a hassle free experience for you. On ParkVia you find your easy and secure car parking option. Booking your Port Elizabeth airport parking online only takes a few minutes. It's easy, just select Port Elizabeth, choose your parking dates, get a quote and book your parking. ParkVia is the place to find secure, yet cheap parking. The first plane flew from Cape Town to Port Elizabeth in 1917, since many years have past and many flights have gone in and out of Port Elizabeth Airport. Port Elizabeth mostly accommodates flights to and from OR Tambo and Cape Town. 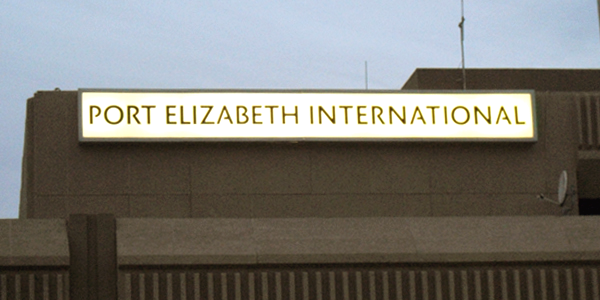 Port Elizabeth International Airport is known as the "Ten Minute Airport" because of its central location in Port Elizabeth. Port Elizabeth is situated on the Eastern Cape of South Africa. More than 1 million people travel to and from the airport every year.